Once you have this data it’s almost impossible not to pay attention, at least for me. 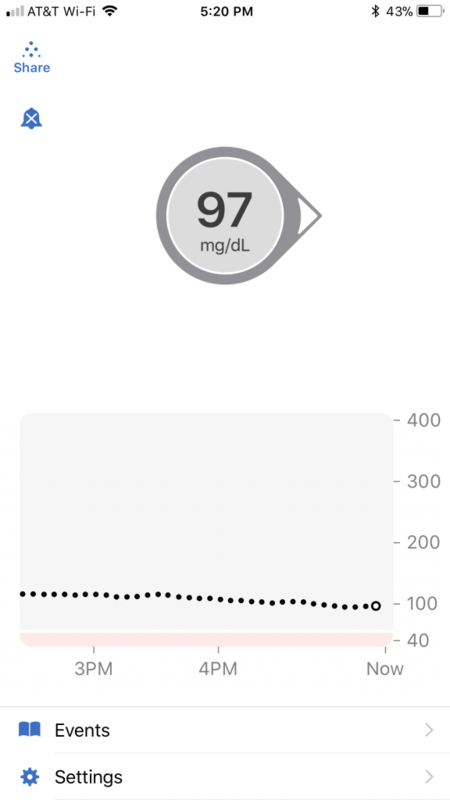 Anything I eat – low carb or not – has an impact on my blood glucose and it’s pretty interesting to watch. I of course have to watch because I need to make sure I am taking enough exogenous insulin to prevent hyperglycemia, but it should be interesting to non diabetics as well. Now I’ve read some things since becoming diabetic like Dr. Bernstein’s The Diabetes Solution, and lurk around on the diabetes subreddit so I’ve been lead to believe that the fasting blood glucose of a non-diabetic should be 83-87 mg/dL and never over 100. But what about when they eat? What happens to their blood sugar then?